Made specifically for a great Mastiff fundraiser, Mastiff Picnic in Ohio. 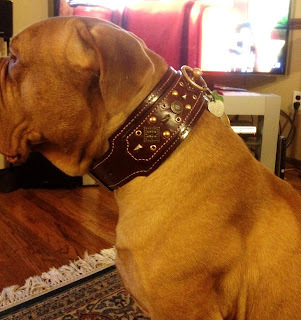 This collar will be donated to this worthy cause to help the Mastiff breed. 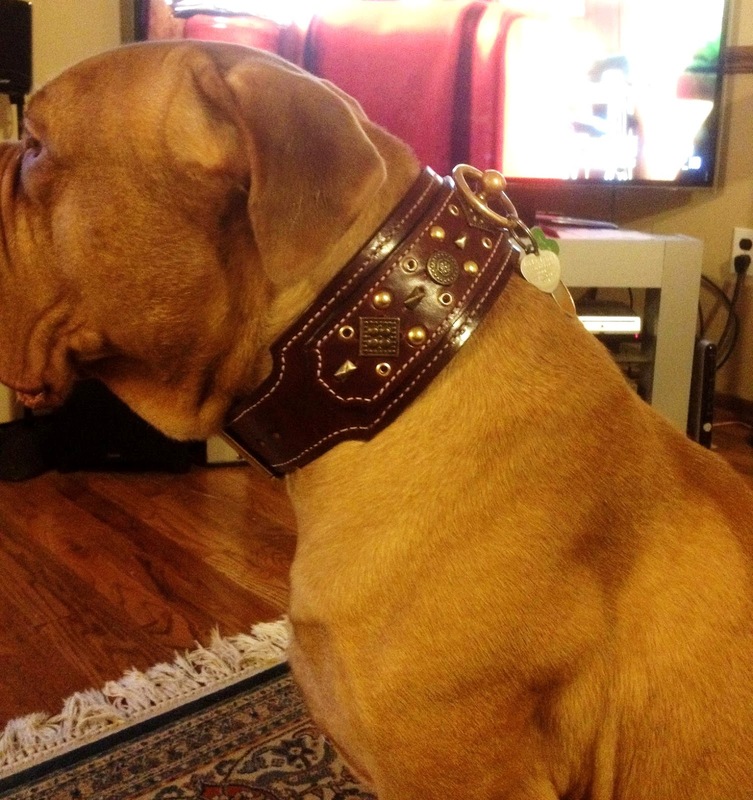 This is a 3 inch collar with a 2 inch strap to buckle, all in burgundy latigo leather. This collar can be fully customized to suit. Old world stud work makes this a vintage neck piece.